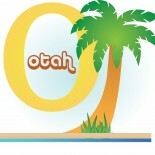 Check back for details on the 2019 OTAH Conference! what is the date of this conference? Would it be possible to attend just the morning session? Yes, you could attend only the morning but you would not get full credit for the session and the rate is the same if you attend the entire conference or a half day. Mahalo. Hello! Are there any more details? And are there continuing Ed offered? Please check the brochure for the CE opportunity. What is the date abd location of the 2016 conference? We will post that shortly! October 28th. Details out tomorrow. Thank you. Hello. I thought I heard the OTAH conference is Oct 27 or 28? Details and reg out yet? Disregard. I just found the reg link. Details will be up shortly. I tried to sign up, waiting for an invoice from PayPal. We are working on sending it shortly. Aloha! I registered for the conference and to renew my membership the other day. Just want to make sure you received them. I selected to pay using PayPal so waiting for invoice. Please let me know if you need anything else from me. Thanks so much and see you in a few weeks! I will be getting your invoice out shortly. We are all volunteers and try to fit in OTAH stuff in our few free moments. Thanks for your patience. Making sure you got registration and renewal forms? Waiting on PayPal invoice. Thank you! Sorry! Didn’t see the reply from my last post. Thanks so much!